The Cube:Bit is a 3D array of neo-pixels (SK6812-3535 to be precise). As such it can be accessed like any other strip, ring or matrix of neopixels using WS2812B compaible code. 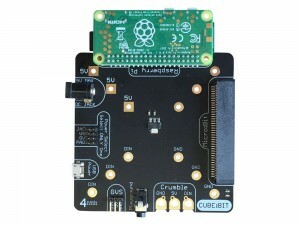 The base for the Cube:Bit (available separately) contains a 40-pin GPIO connector, into which a Raspberry Pi Zero can be connected directly. “Full size” raspberry Pis can be connected using a ribbon cable. The 5V supply provided to the Cube:Bit base is also passed to the Raspberry Pi to power it, so no additional power is required. Only BCM18 (physical pin 12) is used from the Raspberry Pi. This is the PWM pin that all neopixel code uses to communicate, so all existing code will work without changes. If you have already used neopixels on your Raspberry Pi with the SD card you are using, then you don’t need to do anything here. Your existing code will work, although you would get strange shapes due to the layout of the individual LEDs in the Cube:Bit. 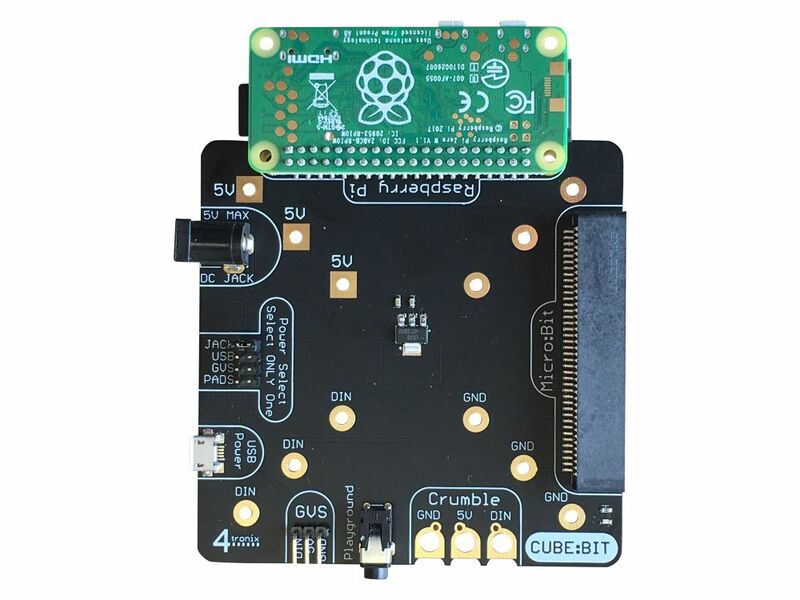 The cubebit.py library module is a layer over the rpi_ws281x driver library that implements functions specific to the Cube:Bit, such as mapping x, y, z co-ordinates to specific pixels, writing to defined planes, etc. Although not strictly necessary (you could write your code to talk directly to the rpi_ws281x driver), it does allow code from the Microbit using the Makecode package to be easily ported to Raspberry Pi as many of the same library calls are implemented in the same or similar ways. This has now created a cubebit folder on your Raspberry Pi which contains the cubebit.py library and a number of example programs. Type Ctrl-C to exit these demos.